Coalition of Immokalee Workers (CIW), which is leading the fight against forced labour in United States agriculture, is being presented with the 2007 Anti-Slavery Award from Anti-Slavery International, the world’s oldest international human rights organisation, on Wednesday 21 November, 7.30pm at Trades Union Congress in London. The author of Not on the Label and special correspondent for The Guardian Felicity Lawrence will present the Award. The event also marks the 200th anniversary of Britain’s abolition of the Transatlantic Slave Trade. At the ceremony Anti-Slavery International is presenting Shahid Malik, the UK Minister for International Development, with over 49,000 signatures from its Fight for Freedom Declaration, calling on governments to address the legacies of the slave trade and make ending slavery a priority. 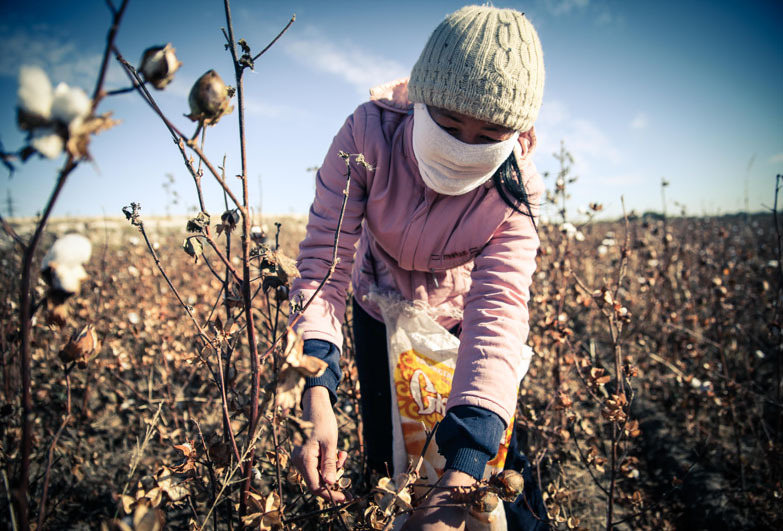 CIW’s remarkable work includes uncovering, investigating and helping in the prosecution of numerous cases of slavery in the agricultural sector, resulting in the conviction and imprisonment of 10 farm employers and the liberation of over 1,000 workers over the past 10 years. 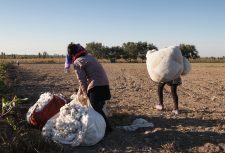 As many as 5 per cent of farm workers in the US are subjected to forced labour, CIW estimates. The Coalition has successfully targeted the world’s largest fast-food corporations demanding they take action to end slavery in their supply chains. Their four-year campaign against Taco Bell led to US-wide mass boycotts and resulted in an historic agreement for a zero-tolerance policy on slavery, greater transparency and improved working conditions in supply chains. Their recent campaign against McDonalds expanded upon that success. CIW is now calling for action from Burger King to help end the use of forced labour and sweatshop conditions in US fields. “CIW demonstrates what those at the cutting edge of the fight against slavery can achieve through their courage and commitment. Their determination in demanding fast-food corporations take responsibility for labour practices throughout their supply chains remind business, whether they like it or not, that they play a key role in ending this abuse and that they need to awaken to their responsibilities. CIW are worthy winners of the Anti-Slavery Award and we hope that their receipt of it draws greater attention to the importance of their cause,” Aidan McQuade Director of Anti-Slavery International said. Founded in 1993 in Florida by a small group of workers to challenge their treatment and improve farm workers’ conditions, CIW has grown into a mass movement with over 4,000 members from the largely Latino, Haitian and Mayan Indian migrant community and tens of thousands of allies nationwide. CIW members seek to educate the community about their rights and the illegality of forced labour and provide advice and support to victims of forced labour to help them testify and bring their abusers to justice. CIW is available for interviews in English or Spanish from Monday 19-Thursday 22 November. Anti-Slavery International was founded in 1839 by the same abolitionists who led the campaign against the Transatlantic Slave Trade in 1807 and fought for Britain’s abolition of slavery in 1833. It is committed to eliminating all forms of slavery throughout the world. Coalition of Immokalee Workers is a worker-led community organisation based in Florida, which works with farm workers trafficked into forced labour, the majority of whom are from Mexico and Central America. They uncover and investigate cases of slavery while raising awareness of forced labour practises among the farm worker community.